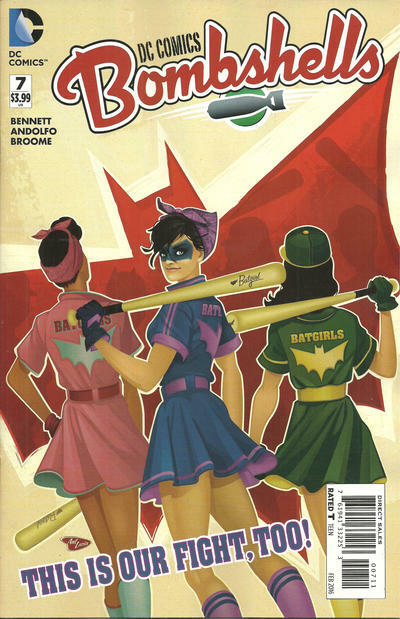 She's Fantastic: DC Bombshells - BATWOMAN! For some reason the solicit pics and showroom photos made me think these ladies would be scrawny and awkwardly-proportioned. I can assure you they are not. I'm excited to see what the upcoming Bombshells Batgirl figure looks like now because all the images I've seen so far look super weird, but that's exactly how I felt about these girls a year ago. 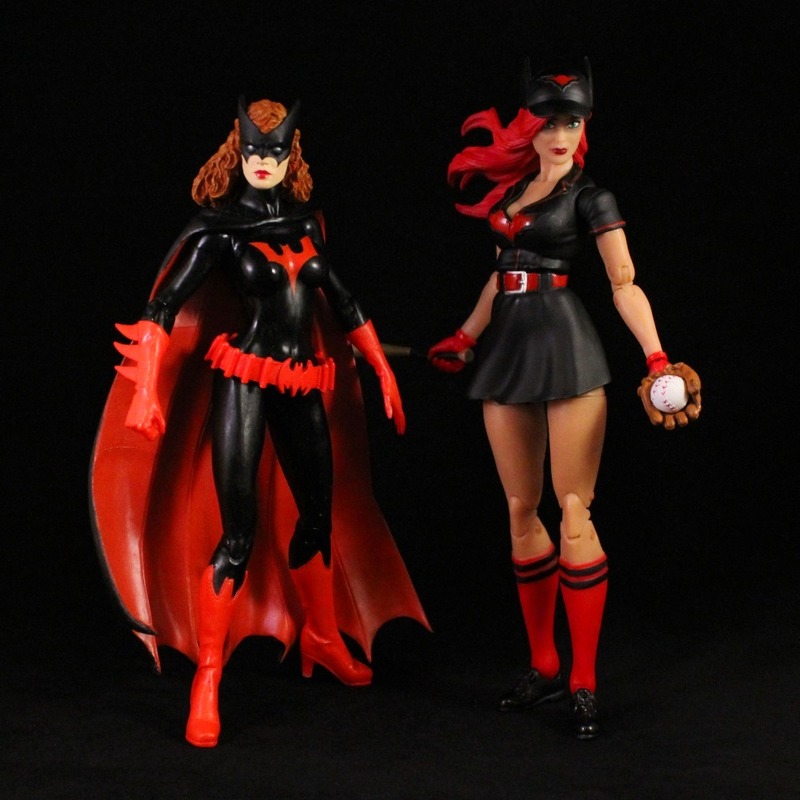 Batwoman comes with four extras hands, a gloved hand, a baseball, and a bat. 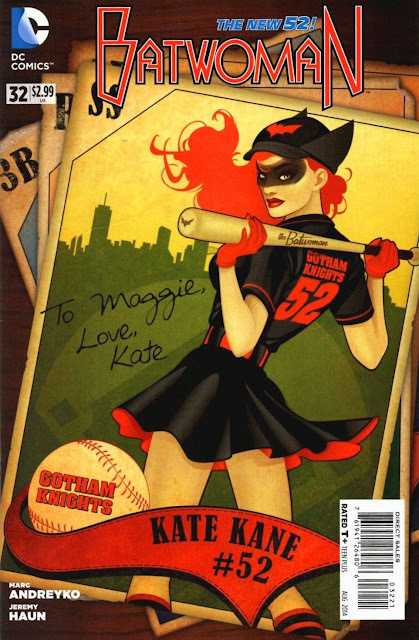 The Batwoman pinup design graced the variant cover of Batwoman #32 in June 2014. Here is the Batwoman Bombshells DCC Statue from 2015. 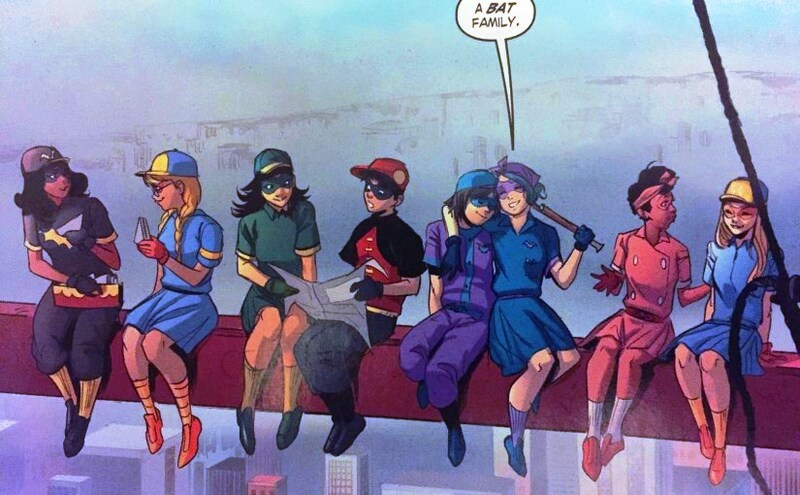 So, I know this is impossible, but how awesome would it be to get the rest of the Batgirls?! 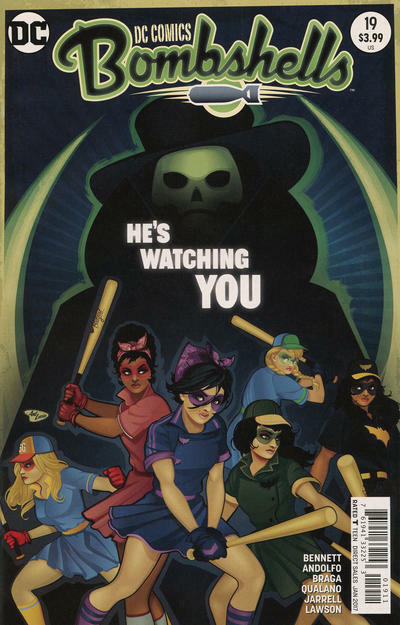 In the Bombshells comics, Harper Row, Kathy Duquesne, Alysia Yeoh, Bette Kane, Nell Little, and Felicity Smoak make up the vigilante group, the Batgirls. What a cool set of retools this group could make. Here she is with the only other 6-7" scale Kate Kane figure so far, the 2007 52 Series Batwoman. And with my two other Bombshells purchases: Poison Ivy and Harley Quinn. Well shoot, now I need to buy this haha. She looks great. By the way, have you heard of Kantai Collection? They are kind of the Japanese version of bombshell girls, except for ships and submarines. I just googled Kantai Collection. Very Interesting. I get easily lost in the anime world so most stuff is off my radar. Thanks for the tip! That's crazy that there's only 2 batwoman figures! I would think that there would be more considering she's part of the batfamily and really popular. Figure looks neat! Well... there are other figures out there. In fact, if you click on the the Batwoman label at the bottom of the post, it should take you to a "Spotlight" post where I reviewed all the merchandise all at once. Plus, there is an Awesome Batwoman Multiverse figure coming out this Fall from Mattel. VERY excited for that. That's a great looking figure. I am going to have to find this one.